The big day has come and gone, the guests have travelled home and last slices of cake have been eaten. 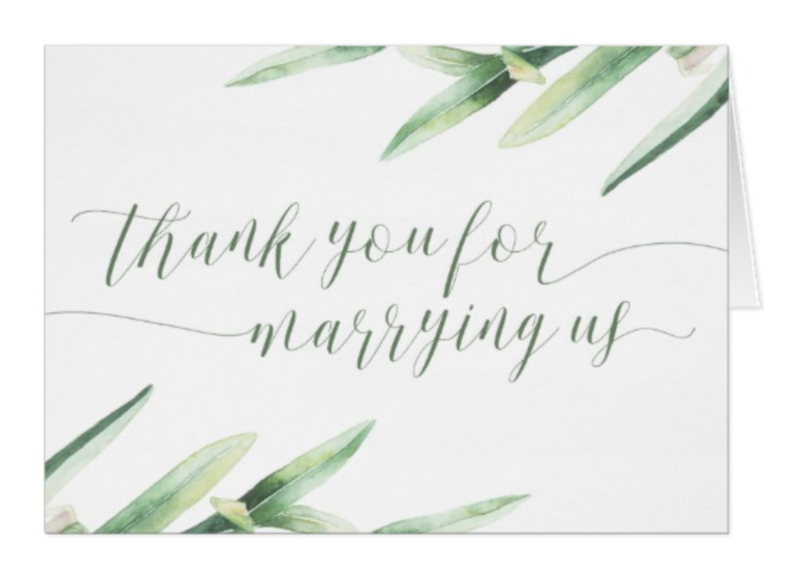 While your honeymoon may be the only thing on your mind right now, there’s one last thing to check off that to-do list: the wedding thank you cards. Attending a wedding is a big ask, and often expense – your guests may have taken the days off, bought a new dress, booked a hotel and found a present. You want them to know how much their presence meant to you. The thought of writing 100+ thank you notes may not be that appealing, but it is achievable! 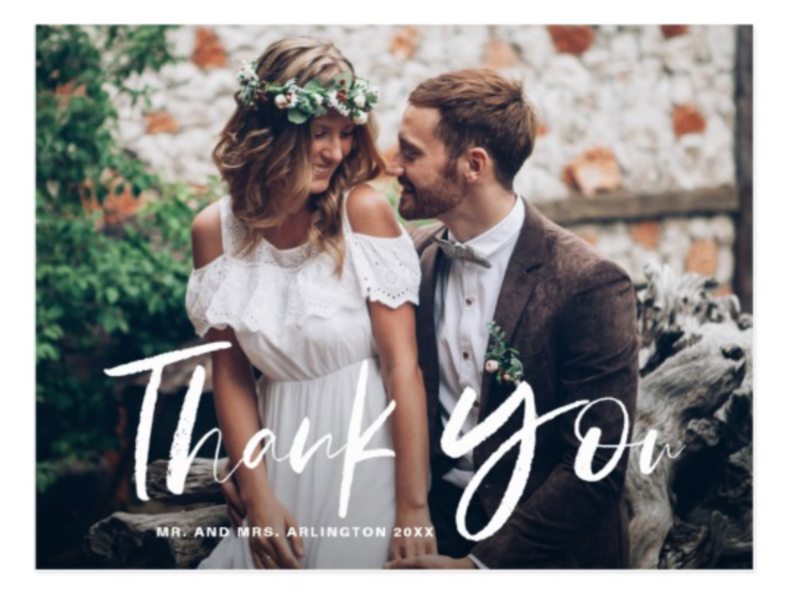 Just follow our guide to wedding thank you card etiquette and see some of our favourite designs. There’s no need to panic about this one – simply include everyone. From small gestures to grand actions, thank everyone who contributed in any way to your nuptials. Start with the wedding party, so your bridesmaids, groomsmen and of course your parents. Whether they hosted your wedding and provided financial assistance or not, they deserve a huge thanks for the love, help and support they’ve given you, on the big day and run-up to it. Even the little flower girls and ring bearers will want a card. They may be small but being part of your wedding was probably a big deal for them. Let’s face it, without the suppliers, you wouldn’t have been able to make your fairy-tale day come true. From florists to bakers, musicians to photographers, every little detail they added counted so include them on your list. Plus don’t forget the person who married you! Next up, all the guests. The friends and family who came to rejoice with you made your day what it was. It’s important to remember that sometimes, presence is the only gift we need. So don’t leave out those who weren’t in a position to buy a gift. Also, if you received a group present, it’s more personal to thank each individual guest rather than send just one card. Finally, include the family or friends who couldn’t make it on the day but still sent you a gift. 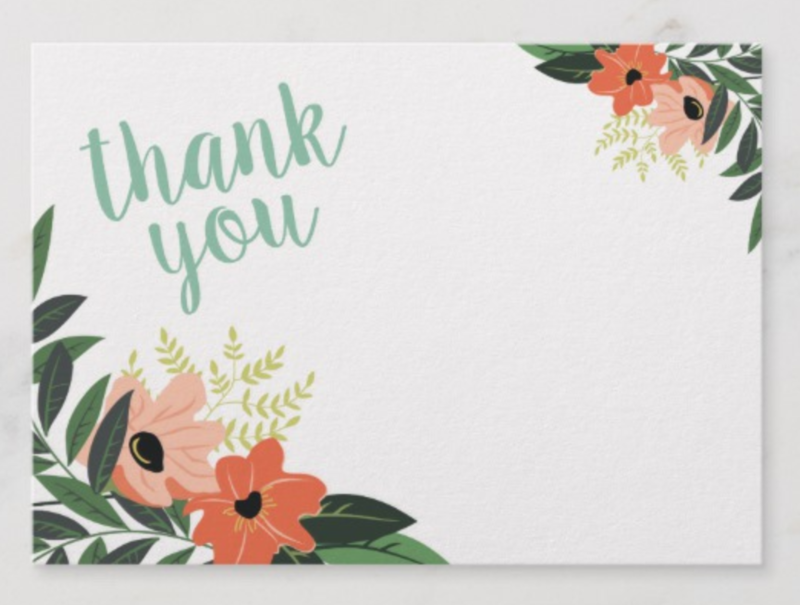 When Should You Send Wedding Thank You Cards? This one is easy too – as soon as possible! Why not get them done and dusted before your honeymoon, so you can truly sit back and relax as newlyweds? Even if you don’t manage that, it’s best practice to send your wedding thank you cards within three months of the day. Also, it’s more fun and easier to write your messages while the wedding is still fresh in your minds. Of course timing also depends on the size of your wedding. If you had hundreds of guests, then everyone will understand that you have a big task and it may take a while. But if you had a very small guest list, sending cards six months down the line won’t look great! That said, if you miss the three-month deadline, don’t use that as an excuse to not send a card at all. A thank you card sent a year later is still better than none at all. 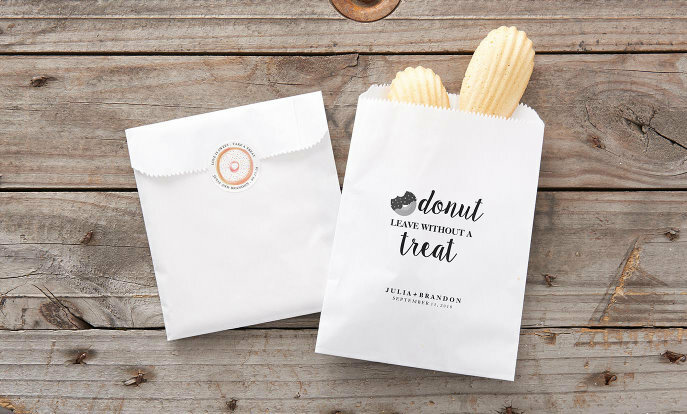 Your thank you notes are the last little detail in your wedding, so you’ll want to leave your guests with something memorable. Personalised wedding thank you cards will do just that. If you’re organised and want all your wedding stationery to match, why not order them at the same time as your wedding invitations. 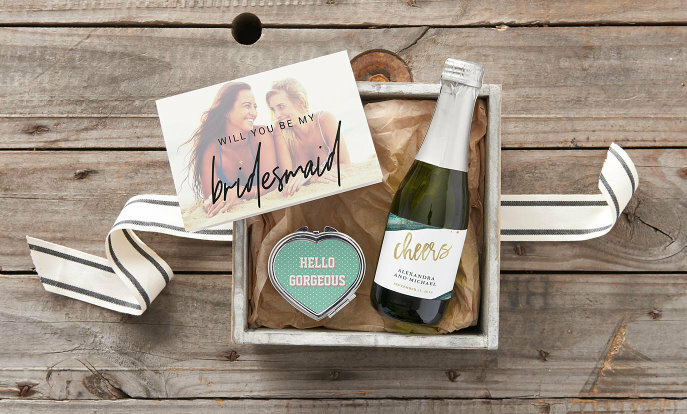 Whether you opted for a rustic, vintage or beach theme, most of the wedding invitation suites on Zazzle have coordinating thank you cards. Another option is to wait and use your photographs and send wedding photo thank you cards. Simply add your favourite shots to one of our templates to create a perfect keepsake for your guests. If you do this, talk to your photographer about timing so you can get at least a selection of photographs before the rest to make your cards. It’s also nice idea to send specific notes to the wedding party. 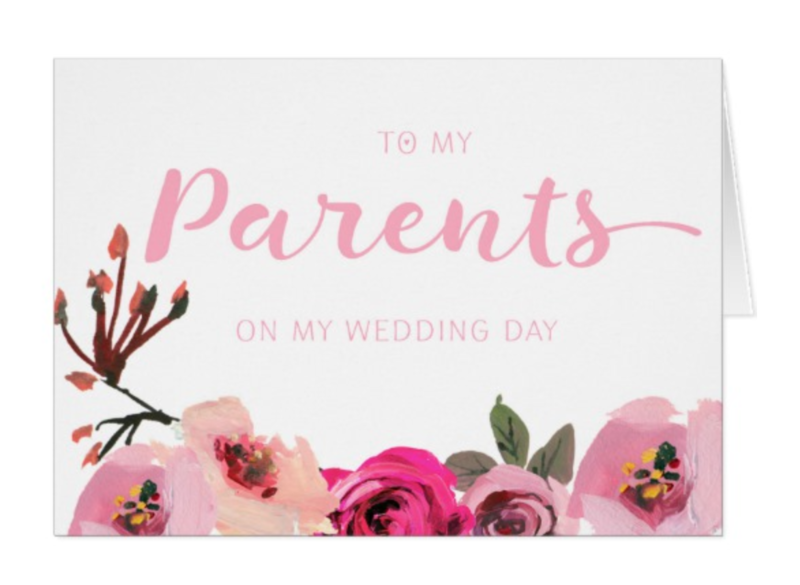 You can find individual mother of the bride, flower girl or bridesmaid thank you cards and even personalise them with names. 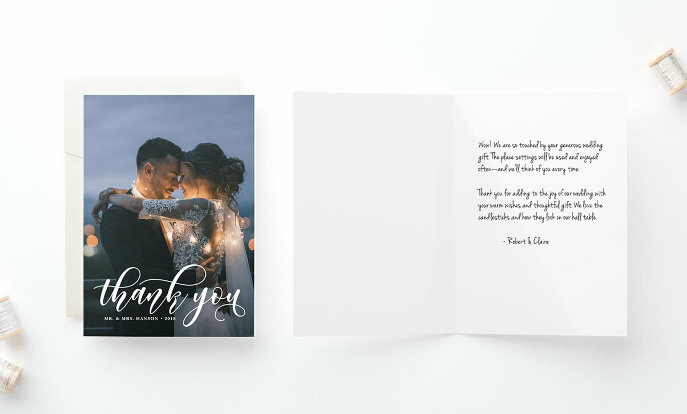 The trick with wedding thank you card wording is to make it as personal as possible. First things first, address each person by their name. If they gave you a gift, thank them for it and say why you love it and how you plan to use it. If they gave you money, it’s inappropriate to mention the amount but thank them for the ‘generous gift’. Then suggest how you will use the funds, whether for your honeymoon, to decorate the house etc. 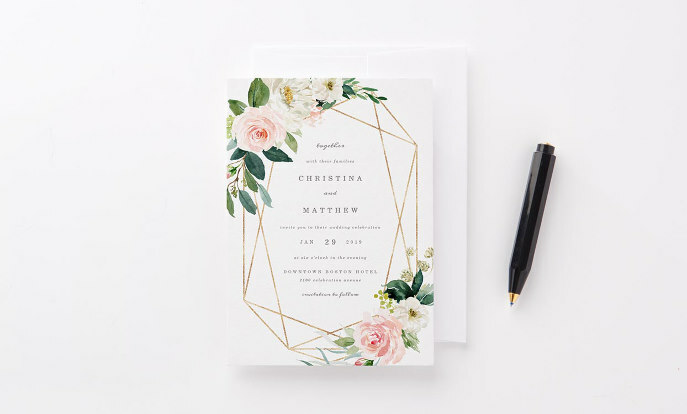 It’s nice to call out other details in your note, for example if the recipient helped you with something specific or travelled a long way to be at the wedding. Or why not recount a fun anecdote from the day that included them. If they didn’t make it, say how you wished they could have been there. Finally, mention when you might see them next, whether that’s for a lunch date or at an upcoming family event. Then sign off from both you and your spouse. If you’ve taken your other half’s name (or you want to specify that you haven’t! 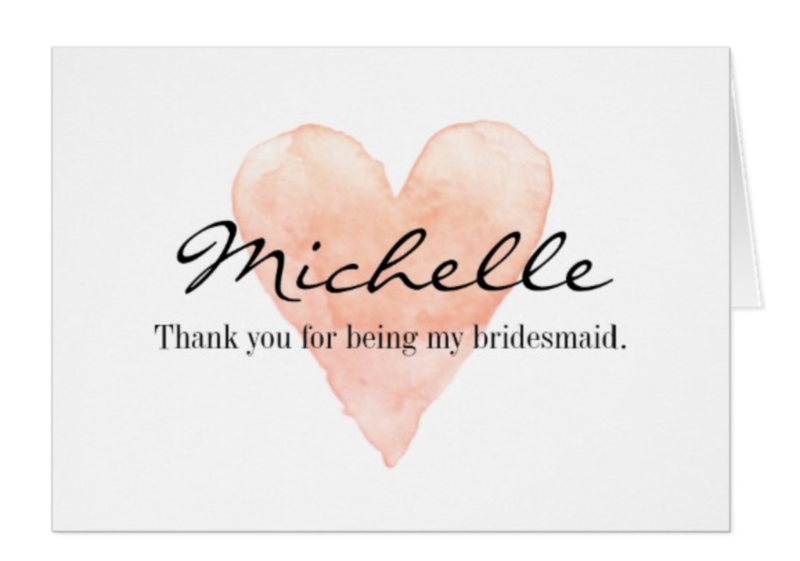 ), or if you changed your address since your wedding, your thank you cards are an opportunity to let people know. 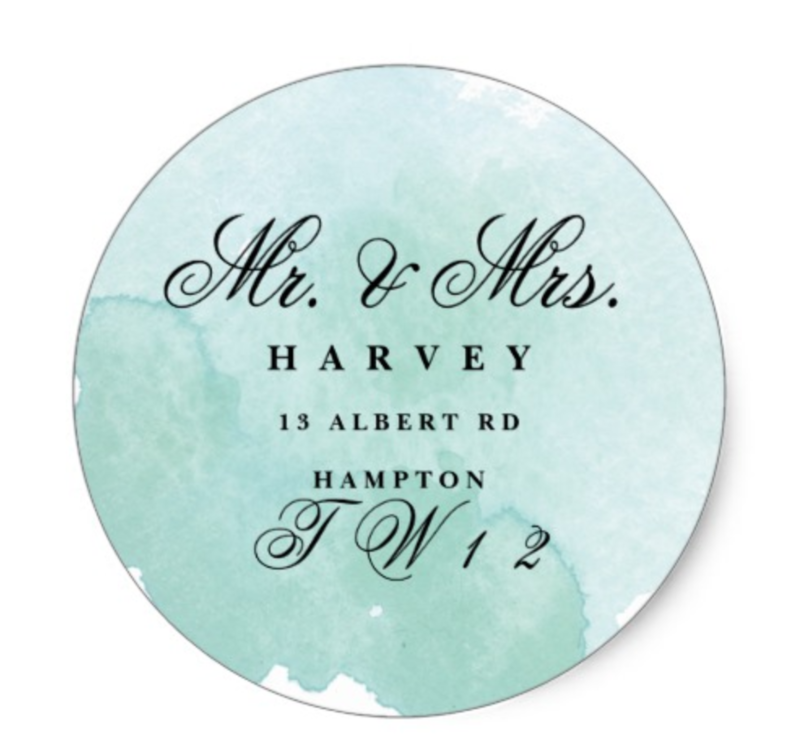 You can even have an address sticker made up to add to the inside of the card, or as a return address on the envelope. The secret to making this task stress-free is to be organised. 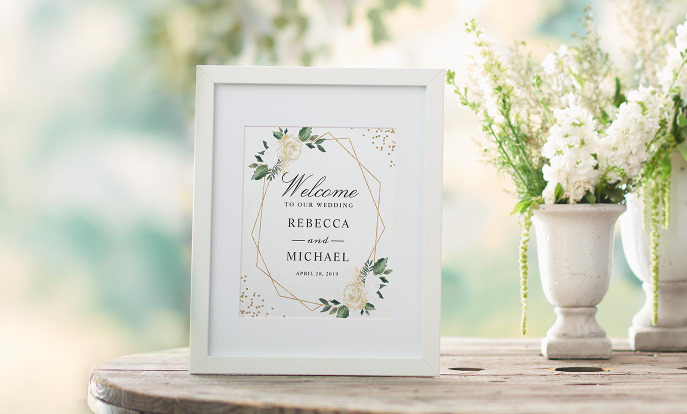 No matter how big or small your wedding is, you know you’re going to need to thank your guests, so start planning before the wedding! 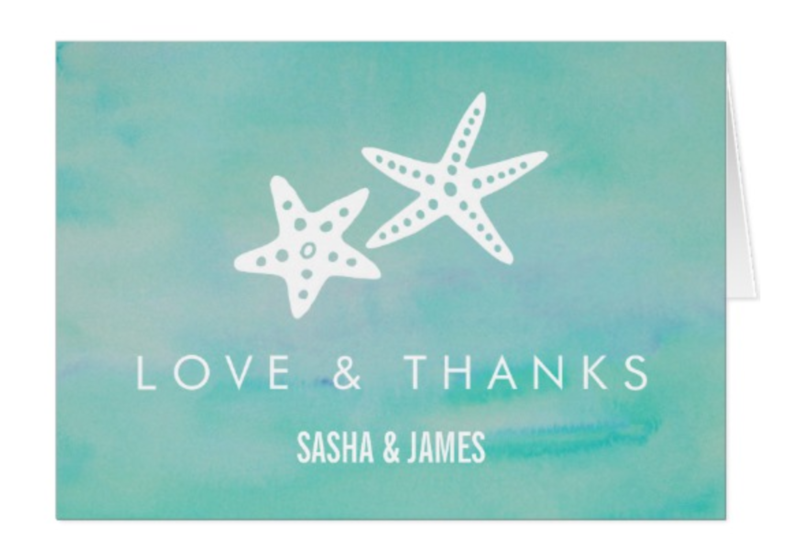 Explore thank you card designs, settle on one you love and get it ordered in plenty of time. This way, if guests decide to give you your gift prior to the wedding, you can thank them straight away. The idea of missing someone you meant to thank is gut-wrenching. Don’t rely on your memory amid all the madness of a wedding and honeymoon, start a list of all the people you need to thank. Remember that wedding guest list spreadsheet? Make a copy! Then just add columns for gifts and keep track of them as they arrive. This way you will have all the names, addresses and details you need to start writing. Then just designate a time to start and stick to it. You could spread it out over a series of sessions or get a bottle of wine and some nice food in and make a night of it! If you had hundreds of guests, you could enlist a couple of helpers to seal envelopes, write addresses and add stamps. But the personal messages inside should always come from you or your spouse. Last but not least, remember to use a nice pen! 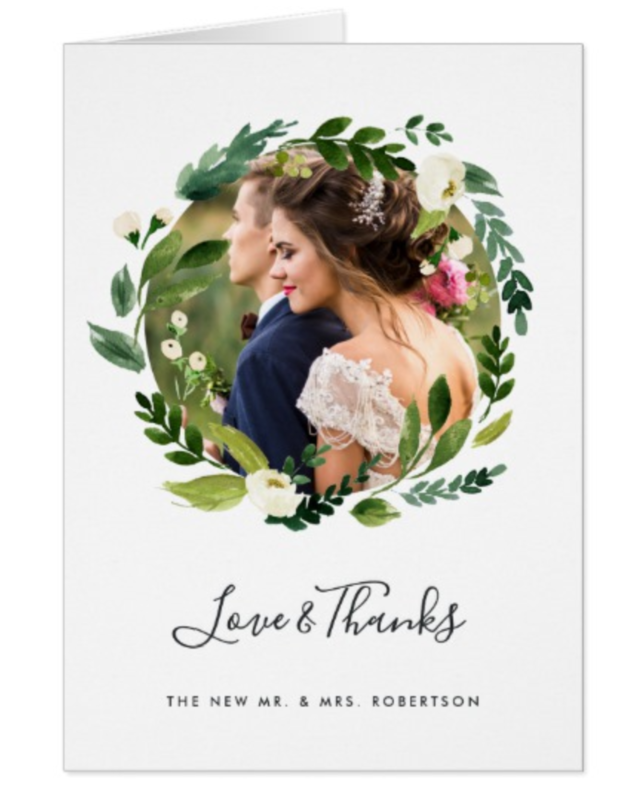 Good luck and share any of your own wedding thank you card tips. Avid aesthete, born bibliophile and confirmed cat-crazy. Happiest with a cup of tea in her hand and a furry friend by her side. Chocolate doesn’t hurt either. Firmly behind the grammar saves lives movement. Royal Wedding Details To Inspire Your Own Big Day!